The Tokyo Pop armchair, designed by Tokujin Yoshiok for Driade, consists of a polyethylene single block. Summer 2016 Special Price! 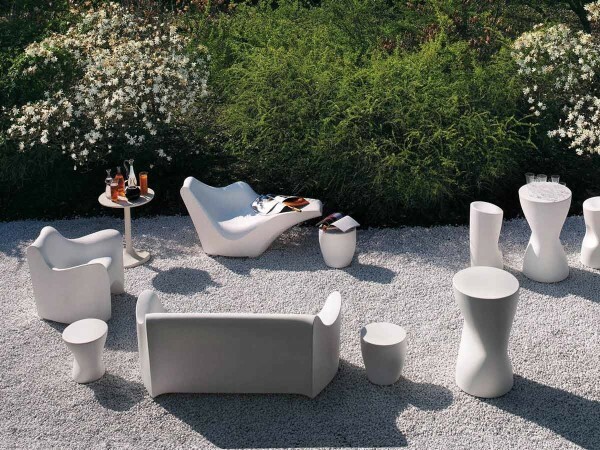 The stylish and ergonomic armchair is formed by a polyethylene monoblock and is suitable for indoor and outdoor use. The whole Tokyo-Pop series consists of an armchair, the sofa, a chaiselongue, side table and stool. It's extremely comfortable and the curvy design highlight its lightness.